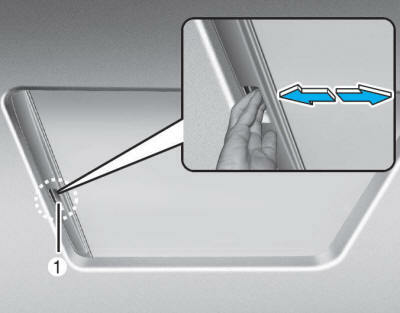 Open and close the roller blind manually using the handle (1). Always open the roller blind before opening or closing the sunroof. Use the handle when opening and closing the roller blind. If the handle is not used, it may cause misalignment or damage. You may see wrinkles on the roller blind. It is normal because of its material characteristic.